He's back! The comedic genius that brings us laughs when we least expect it returns to the small screen with this action-packed drama about a Priest with a fiery temper. 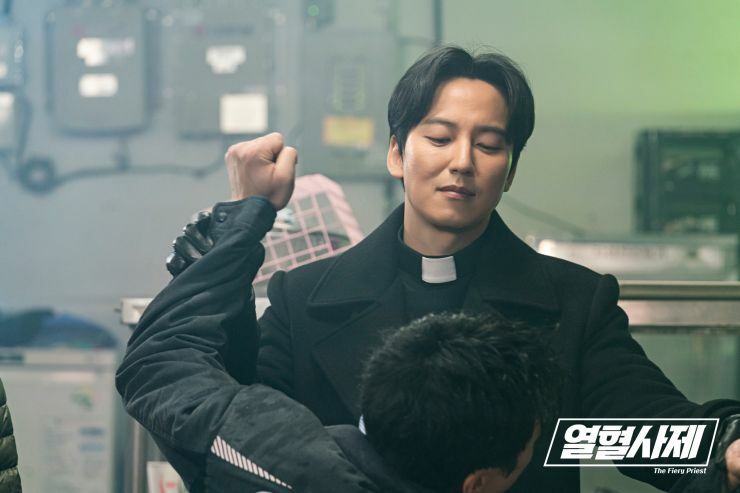 An ex-Soldier turned Priest, Hae-Il (Kim Nam-Gil) now known as Father Michael, visits an elderly Priest after causing mayhem for his fellow Church leaders. He discovers that the city is corrupt and after the mysterious death of the Father he looks up to, Hae-Il's anger becomes unleashed, entangling wimpy Detective Goo Dae-Young (Kim Sung-Kyun) and Prosecutor Park Kyung-Sun (Lee Ha-Nee) in order to solve the case and bring justice to a city that needs to be redeemed of its wrongdoings. 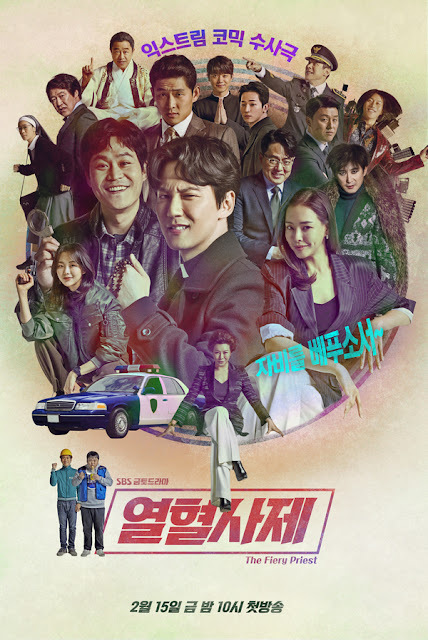 I've had my eyes on this drama during it's pre-production stages, following casting news and hoping for something interesting if it was going to be about a show that intersects crime with another genre. 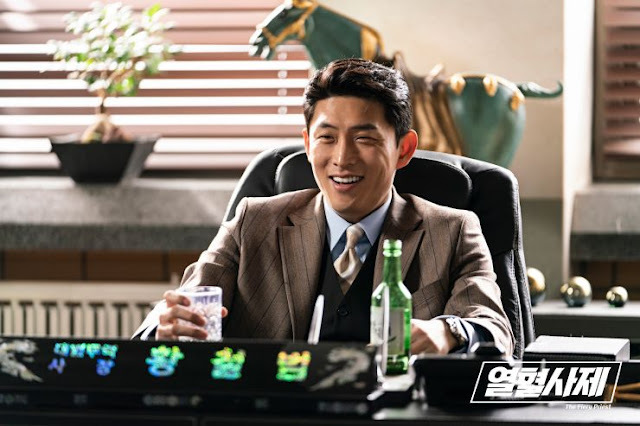 I never thought that genre would end up being comedy but it does so well, especially with a cast that's familiar with being comedic and delivering when things get dark and serious. 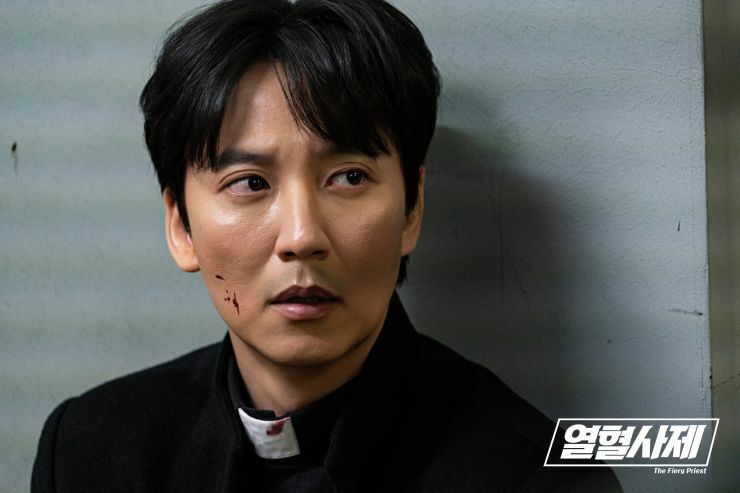 Kim Nam-Gil left us all in pieces after he played a lovable and memorable Joseon Doctor, and although news of injuries and postponing of episodes created a lot of concerns, I'm still glad the actor chose this as his next drama project because I couldn't see anyone else in the role of Hae-Il, since his timing is so spot on. 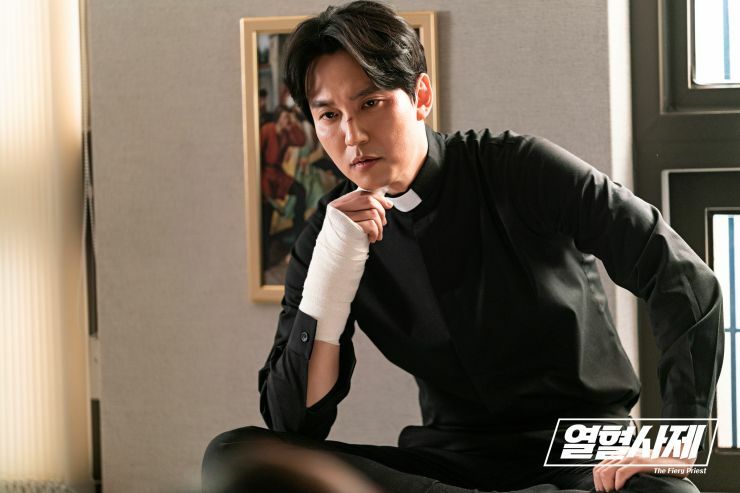 I'm also glad Lee Ha-Nee was chosen to play the eccentric Prosecutor who has a major crush on our Priest. Had they followed the normal trend of things we might have gotten a far younger actress in the role. I'm not against this current trend of larger age gaps but it wouldn't kill casting Directors to switch things up sometimes and give us a pairing that's closer in age since we can't deny the complexities and lack of chemistry because behind the scenes pressures are high as a result of seniority culture. That being said, Park Kyung-San isn't the most likeable female protagonist out there. 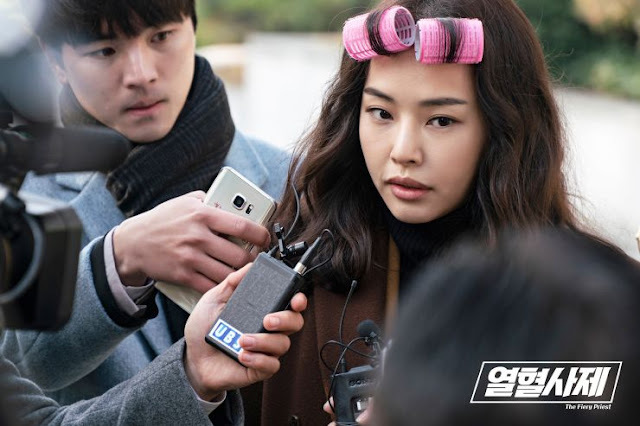 She's actually quite conniving and a bit cynical in her line of thinking and lack of remorse for what Hae-Il has gone through, which is why I'm glad an older actress got picked because she threads along a fine line where maximum hate isn't inflicted on her as audiences become more aware of her flaws. 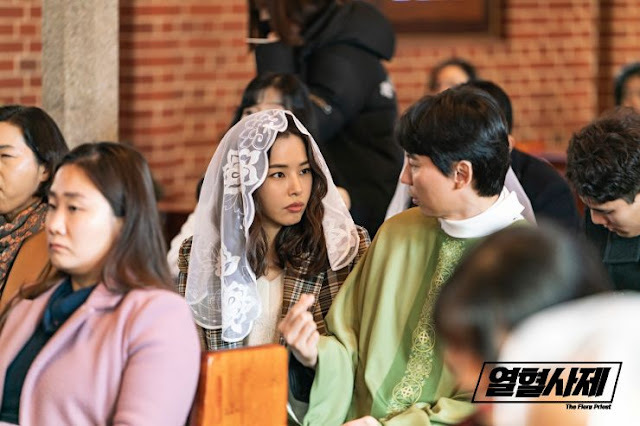 I don't love her, but I definitely don't hate her either since her internal thoughts aline with every female thought when it comes to Hae-Il. 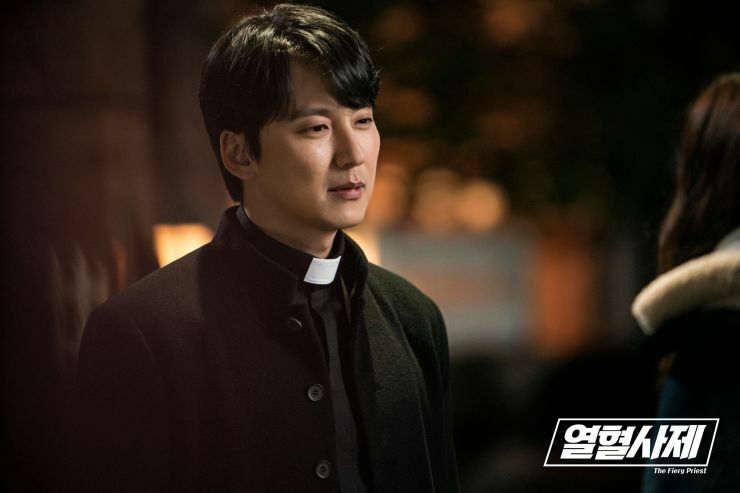 What I find most interesting about this drama is that it isn't meant to be religious and tries to insert more comedic elements when it comes to religiosity or Catholicism and its practices, but if you pay close attention to the dialogue and writing when it comes to Hae-Il's sense of morals, everything about it follows what he preaches and the doctrine he shares. His sense of morality and justice aren't merely tied to him being a Priest, but he thoroughly believes in actions speaking louder than words or fickle attempts of asking for forgiveness since praying for divine forgiveness is only one side of the coin of atonement. The drama has been criticized for its portrayal of Priesthood and this sense of constantly depicting religion in a comedic light. In other words, it could be considered as a lack of sensitivity but since domestic audiences are enjoying the series and the ratings keep soaring, I'm going to take a good guess and say that the drama is doing well regardless of accusations. So keeping that in mind, it all depends on your own comfort level in relation to how our titular Priest is portrayed. As far as pacing goes, The Fiery Priest definitely seems more traditional in the sense that it's structured and progressing similar to other comedies prior to it and by that, I mean the transitions and various plot devices since the story itself and our characters are refreshing and uncommon. It has a very comic-like comedy theme going on and without it, I'd have to admit that the show would be bland and slightly lacking. Don't get me wrong, the action is fresh but the entire atmosphere and progression would change drastically if not for the comedic elements in place, and makes me wonder if people would stay if it were a melodrama for instance. 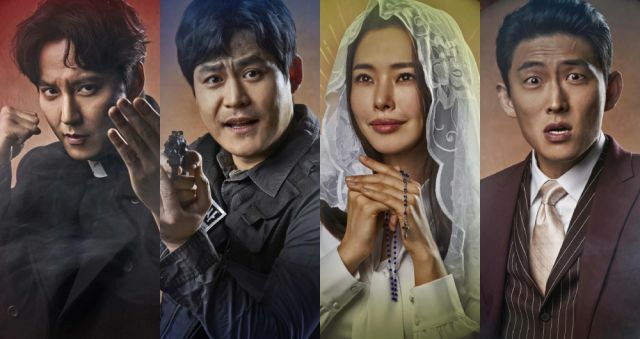 I'll be honest and say that I'm not engrossed in the show and have put it off until it's completed to see what reviews will be circulating but from what I have seen, Kim Nam-Gil can do no wrong although the temper tantrums should be kept to a bare minimum...but that would also be counterintuitive to his character so I guess I'll have to bear with the rage. Although I find certain punches well served and well deserved. With plenty of laugh out loud antics and an odd array of characters, The Fiery Priest could be just what you're looking for. Loads of people have been enjoying the series and finding it to be comedy gold with witty dialogue, parodies, and slapstick moments when you least expect it.